Muay Thai is referred to as the "Art of Eight Limbs" because it makes use of eight total weapons: punches, kicks, elbows, and knee strikes. At West Coast Martial Arts Academy, we teach two aspects of Muay Thai: for the ring and for the street. Both styles focus heavily on precise body-conditioning which is designed to promote a high level of fitness and toughness. The result is the understanding and use of: proper timing, sound footwork, increased hand speed, a higher level of punching power, deceptive footwork and countering, and devastating kicks and elbows. The Intense Physical Fitness portion includes footwork, body movement, shadowboxing, weights, plyometric movements, and core and leg exercises; it typically lasts 20 minutes. The Proper Form and Application portion focuses on the proper formation and application of punches, elbows, knees, kicking, clinch, plum, shielding, and combinations thereof; this lasts approximately 30 minutes. The final section of the class is focused on the development of Body Conditioning; this includes the conditioning of the tendon, bone, and muscle through repeatedly hitting hard objects with shins, elbows, hands, etc. Our Muay Thai training results in the understanding and use of: proper timing, sound footwork, increased hand speed, a higher level of punching power, deceptive footwork and countering, and devastating kicks and elbows. This program is available on Mondays and Saturdays. It is taught in a safe, progressive manner to be both effective and fun while providing a nonstop workout. Shihan Schwartz was born and raised in New York. At a very young age his parents recognized his high energy and decided to channel and focus it through the Martial Arts. He was 8 years old when first enrolled in Karate and then later joined Kung Fu, Boxing, and Kick Boxing. 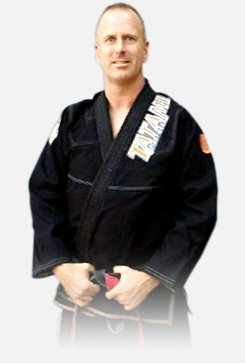 At the age of 15 his family relocated from New York to Sarasota, Florida where he started as a white belt again and enrolled at West Coast Martial Arts Academy and trained with the former Head Instructor Hanshi Steven Roensch for the next 20 years.